With inexpressible sadness and undimmed gratitude, I write this morning in loving memory of James Hutchinson Andrews, 1946-2019. My younger brother Jim passed away yesterday at his home in Williamsburg, Virginia. His wife Becky was by his side. No man was a dearer friend to me these past seventy years. Jim was born in our mother’s hometown of Fennville, Michigan, and grew up in our father’s hometown of St. Louis Missouri, where he was educated from kindergarten through college at Principia, the family’s alma mater. He was a US Army officer in Vietnam, a junior staffer in the Nixon Administration (as was I), and a 1976 graduate of Stanford Law School. A member of the bar in several states, he practiced law in New York City as well as Denver, with stints as a journalist in Boston and St. Louis. Jim married Rebecca Eichar in 1980. Their grown children are Sarah Andrews, Lisa Andrews, and Garner Andrews. 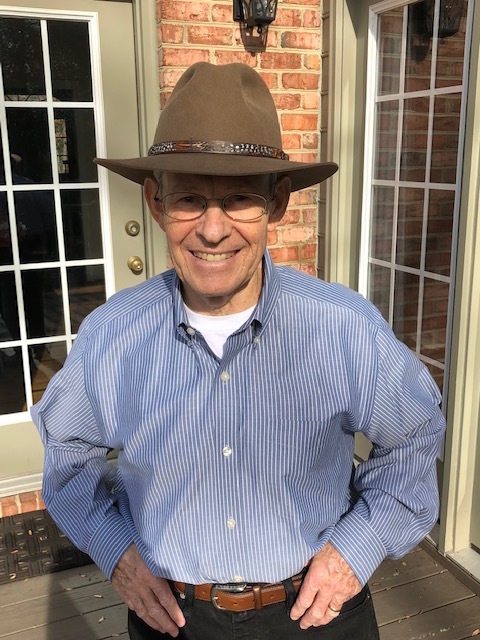 After retiring to Virginia with Becky several years ago, Jim traveled widely, practiced his beloved fiddle and his French, and taught history in the lifelong education program at the College of William and Mary. It was my honor to collaborate with him on a brothers’ memoir, Downstream: An American Album, published last fall. It was my honor, indeed, just to have shared a surname and a lifetime with this gentle man of sterling character, indomitable courage, deep patriotism, and sparkling joie de vivre. What a man. What a void he leaves in my heart. Adieu, mon frere. This past Christmas, unsure how long he had to live, Jim whisked his family away for a week in San Antonio and the Texas hill country. He told of hankering to bring home a new Stetson, though the kids were a bit dubious. Get the dang hat, I urged. He got it. That was my bro all the way. That was Jim.